There are two main different types of Coordinator on ScoutLink. These are those who look after specific locations and the users who live there, and those who look after teams or specific parts of ScoutLink. There are three types of coordinators who look after locations. A CC looks after one country, and is voted in by the members of that country at the end of their term, or when the previous coordinator steps down. An RC looks after a bigger area – sometimes several or many countries, or a whole continent. They are appointed by the ScoutLink Council to look after several countries who are not yet big enough to need a Country Coordinator. Some countries do not have enough registered users to elect a Coordinator but want to increase their numbers, so we appoint a Development Coordinator to facilitate this, with the aim of getting enough so they can have a Country Coordinator. 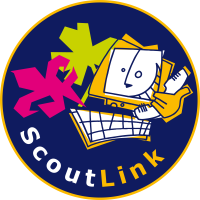 Our Team Coordinators all look after various parts of ScoutLink – from providing help to users who need it, to ensuring our servers run correctly.